Continue ton apprentissage (Keep on learning)! French is arguably one of the most pleasant languages to the ear. Oh, but is it ever expansive, rich and complex. Despite that, you’ve somehow arrived at the oh-so-prestigious advanced level. Go ahead, give yourself a pat on the back. But slow down mon ami (my friend)! Like the French saying goes: Plus on apprend, plus on s’aperçoit de son ignorance (The more you learn, the more you notice your lack of knowledge). And yes, this can be a frustrating feeling. But it’s also what should push you to keep on learning. As an advanced French learner, a lot of effort is now required on your part to keep up with your studies, which should include grammar, verb conjugations (hello, “Bescherelle” !) and pronunciation. This truly is the stage at which you need to take your learning into your own hands. Time for your teachers to take a back seat and become more of a support system. But make no mistake. Just because you’re at an advanced level doesn’t mean you’re done with classes. It may just be time to redefine what “class” means. At the advanced level, there are many online resources that provide the structure of a class along with the flexibility of independent learning. These can include anything from full college courses to sites that have all the materials you need to build your own advanced classes at home. In this post, we’ll take a good look at all those options. But why do you need classes at all? Haven’t you come far enough to be done with all that? Well, let’s just say that it’s common for learners at this stage to get a bit coincé (stuck), as in caught between an upper intermediate and beginner advanced level. This is often because not enough emphasis is placed on targeted and strategic multi-layered learning, i.e., dynamic activities to reinforce strengths but also tighten up weak spots. This is where a multi-layered approach is required in order to, let’s say, spread out your language development. And taking online classes, or using well-rounded online resources to construct your own classes, is a great opportunity to do that. But before we get into all of that, never forget to be proud of yourself and all the hard work you’ve put in up to this point. Remember, no one becomes an advanced French speaker overnight. So go ahead. Soak up the compliments. Relish the moment when a Francophone tells you ton français est excellent (your French is excellent)! However, stay humble and keep en tête (in mind) that the advanced level is when you need to work extra hard to master French once and for all. On y va (let’s go)! The key to any great advanced French class is a multi-layered approach. More specifically, this is what I like to call the “three-layered development approach” to learning French at the advanced level. This is a strategic learning method that’s essential for your progression at the advanced stage because it puts attention on three essential aspects, or layers, required to truly perfect your French. You should look for these layers in any advanced French class. But what are they, exactly? Let’s take a look! Reading in French is the key to diversifying and expanding your vocabulary. Reading out loud at the advanced level is great, as this will help you perfect the French phonetic structure. Your reading skills need consistent training to become sharp. Aside from polishing your vocabulary, sharp reading skills will help you pick up sentence structure and also have a rapprochement (closer encounter) with French culture. I once had an excellent French literature teacher who told me that it’s nearly impossible to write in flawless French because of the intrinsic ambiguity and complexity of the language. He was talking about it being this way for everyone, even Francophones! Nonetheless, it’s important to keep in mind that all languages pose their unique set of challenges. English has its own set of complexities. So when you’re feeling discouraged, keep in mind that it’s also difficult for foreign language learners of English to perfect their writing. The agreement between verbs and their auxiliary verbs in the past tense. These areas pose difficulty for English speakers precisely because they do not exist to the same degree in the English language. Listening comprehension is an obvious element that all advanced learners need to focus on, but in French it’s also essential to stress the très très très (very, very, very) important aspect of pronunciation. In French, as with English, one vowel pronounced incorrectly can throw off the meaning of a whole phrase or sentence, so you need to actively listen and repeat, listen and repeat, over and over, time and time again, to get that Francophone accent down once and for all! As an advanced learner, it’s very important to align your learning with resources and courses that touch on all three of the above elements. Why? In order to activate all areas of your French and avoid gaps in your fluency. Gaps can create a person with unbalanced language skills: For example, an individual who reads excellently in French but has virtually zero speaking skills or vice-versa. Not very practical, n’est-ce pas (don’t you think)? Naturellement (naturally), as a language learner, you are interested in active and practical language learning. So before we get into our all-important online French classes, let’s look at a few sites that just offer great activities to get you developing those layers! These can be used in conjunction with any class and are great for independent practice. LanguageGuide.org has a short yet interesting list of interactive reading exercises at the advanced level (scroll down to the bottom of the page). The great thing is that all the readings come with an automated recording. Put on your headphones and listen along a few times. Once you get comfortable with a particular reading, why not try recording yourself reading the text out loud? This is an excellent method to combine your reading and pronunciation abilities, and it works (just ask any French phonetics teacher). All of the readings are medium-length and the vocabulary is comfortable but also challenging for advanced learners. Bonjour de France has an extensive list of readings at both the B2 (advanced) and C1 (expert) levels. Test out readings from both advanced and expert levels and see where you feel most comfortable. There are many reading samples that will greatly challenge and enrich your vocabulary. Every reading exercise is accompanied with an interactive lesson that highlights important vocabulary and review questions to test your comprehension. Note the key vocabulary words provided with each lesson. Passe Partout is a specialized site focused solely on sequenced listening comprehension exercises. There is a total of 20 exercises, each including a video, vocabulary list and fill-in-the-blank sentences. Once you finish and correct an exercise, grab your language journal (get one ASAP!) and write out all the sentences by hand. Then read them out loud to reinforce your vocabulary, writing and pronunciation. The above sites are fantastic, but quite specialized, so they are best for extra practice. Moving forward, let’s take a look at the but (objective) of this post and explore five top-notch sites where you can perfect your French through pre-made or self-made courses that provide you some true multi-layered development, making you into a balanced French speaker, reader and writer! The offerings on the sites below run the gamut from structured step-by-step courses to complete materials you can use to build your own advanced French classes. What they all have in common, however, is that they’re multi-layered, thorough and, if used correctly, will give you the full benefit of an advanced French class. This is a gold mine for the advanced learner. One of the (many) great things about Quebec is that a lot of public funding is allocated to creating and providing accessible high-quality content for the public to learn one of the official languages of Canada, French! On the left, you’ll find a tab with a little + that’s beside the exercises pour les étudiants avancés (exercises for advanced students). Clicking on it will open up a menu that will give you access to plenty of reading, writing and listening comprehension exercises. 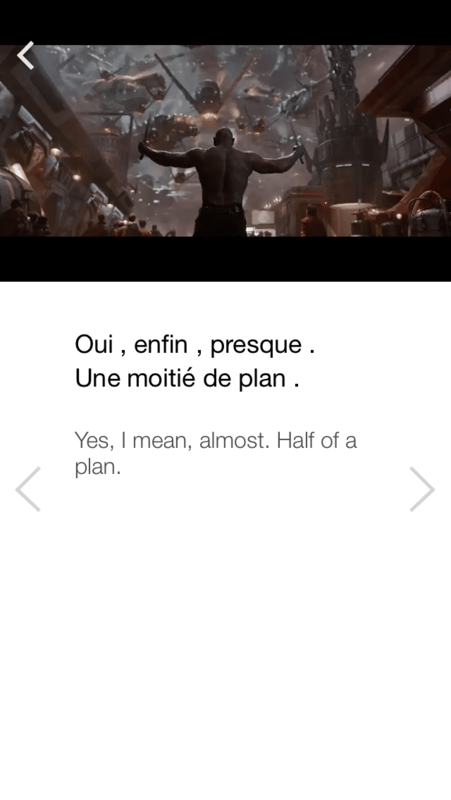 One thing that’s great about this resource package is that you have access to an abundance of dictées (dictations), which are quite rare nowadays but key to perfecting French listening comprehension and pronunciation. Obviously, they also give you the chance to work on spelling, vocabulary and writing. Along with the handy dictées, there is also a whole section on virelangues (tongue twisters), which are great for your pronunciation and used very often in casual French all over the world! 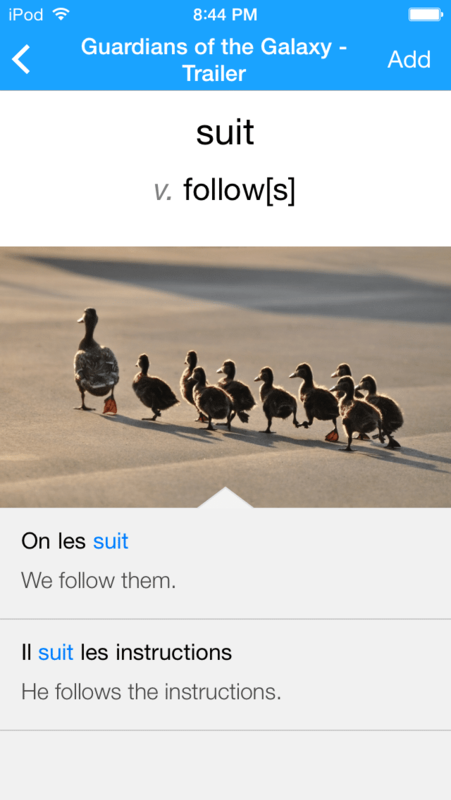 Probably one of the most practical features on this site is the links to business French, where you get official business email samples and amazing interactive exercises for practicing your business language. So get the ball rolling with a dictée, then head over to the writing exercises and finish off with a game! This site has enough resources to provide you with quality class material for a whole year and beyond, so profites-en (take advantage). Not only is it fun, but it’s free! FluentU is a pretty sweet option for any level, but it will do wonders for advanced learners specifically by reinforcing all three of those layers of learning. In fact, just using the site regularly will ensure that you automatically get practice in all three layers. 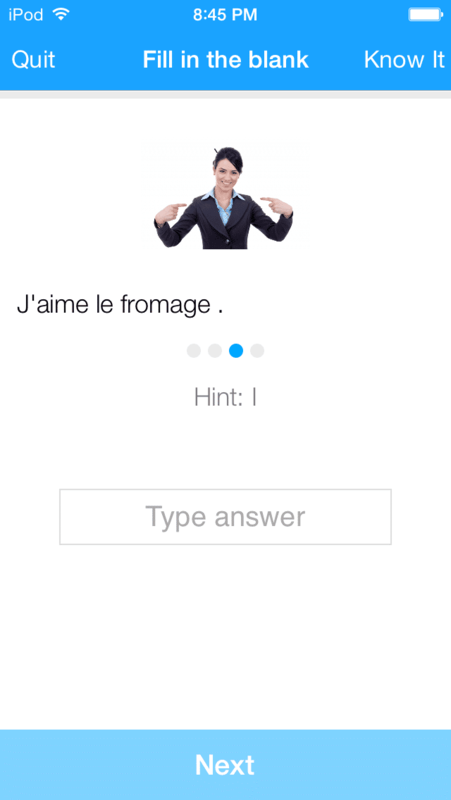 This site offers (and provides you with an extensive preview of) an elaborate advanced French audio course made up of reading, writing and listening comprehension, accompanied by exercises d’application (review questions) for each activity. The course has 36 lessons. It includes typical expressions and cultural knowledge relevant to France and French living. One outstanding feature is the variety of writing styles the class incorporates, including idiomatic, journalistic, literary and review, giving you nice exposure to different tones in written and spoken French. Take a look through the presented sections. If you see at least 10 of the 36 that are relevant to your learning, it’s a good idea to invest! For example, sections 3, 4, 11 and 21 focus on the use of the subjonctif, a very tricky and important verb tense that’s necessarily to understand at the advanced level. This class costs 55 euros (approximately 63 USD), not much for a top-quality online French class. Along with your purchase, the authors also send you 120 dictées to compliment your learning, which means even more spelling practice for you! This is a great investment to really take your French above and beyond. On this site, you can access class material for audio, writing and reading exercises. As an added bonus, you can also access excellent information and learning activities on the Francophonie, French literature and national holidays in France. Perhaps the most interesting element is the Francophonie section, because you can explore and train your ears to listen for and understand not only the Parisian accent, but Belgian, African and Quebec accents as well. This site can be a bit overwhelming because of the sheer number of resources and material available. A good strategy is to go one-by-one for each layer, starting at the top of each list. For example, warm up with a listening comprehension exercise, head over to a writing fill-in-blank activity and round things off with a fun game on the Francophonie. Similar to the Government of Quebec website, Le Point Dufle will give you enough class material to work with for years and beyond, and it’s also all free! As all levels are listed together, make sure that you are only clicking on activities listed as B2/C1/C2, as these are for advanced learners. If you’re looking for the real thing, The Open University offers a complete online French class for advanced learners. There are elements of writing, reading and listening comprehension, and you get the added bonus of having one-on-one support from an assigned tutor! There is a focus here on academic written French, so this is good prep if you are required to write in French at school or work. Since you get organized course modules, instruction and tutoring, this French class will cost you 2,786 British pounds, which works out to approximately 4,000 USD. Perhaps it’s a good idea to get started with the resources above and turn to this course when you require university credit or official certification for your French level. 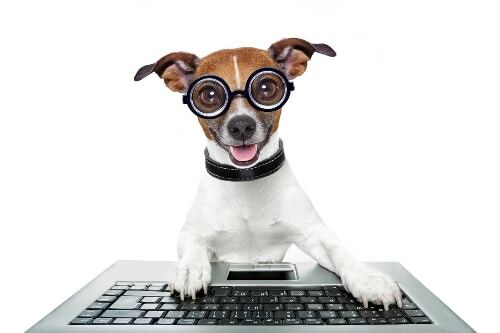 So there you have it, five great resources for online classes to perfect your French at the advanced level. Not only will these resources get you writing, reading and understanding like a pro, but you’ll be speaking like one as well! Also, don’t forget the additional sites above for extra practice. Il est vrai que (it’s true that) the advanced learning curve is a bit steep, but try seeing it as a gentle wave taking you across an ocean of French…ride along with a big sourire (smile)! Au plaisir, mes amis (until next time, friends)!